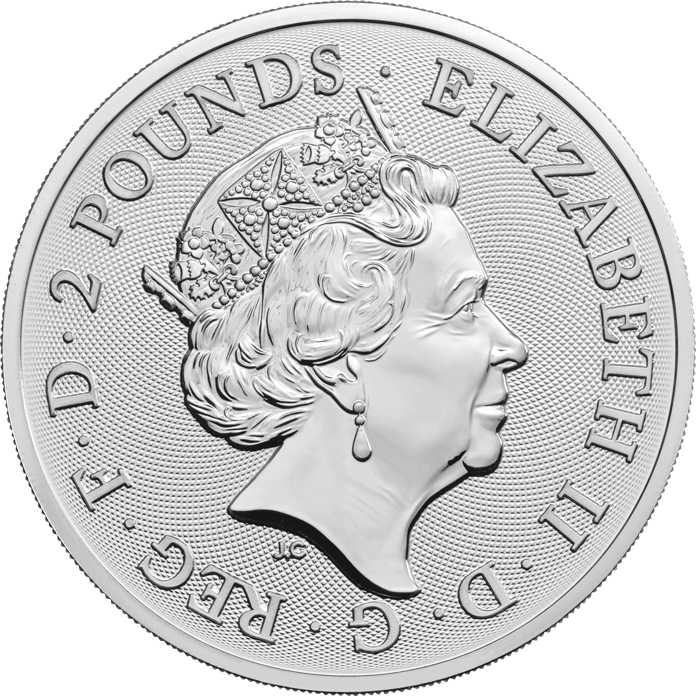 This tube of twenty-five one ounce silver bullion coins also feature a radial background on the reverse, making a truly beautiful design more exquisite. 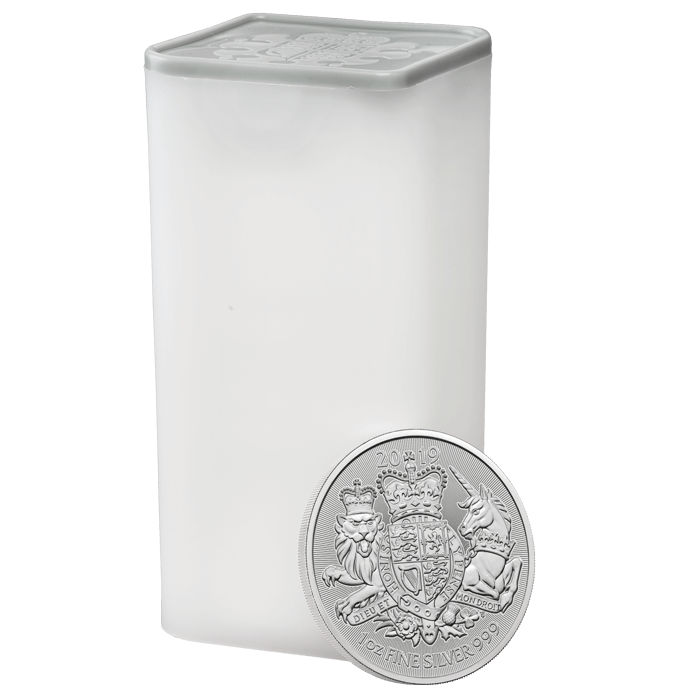 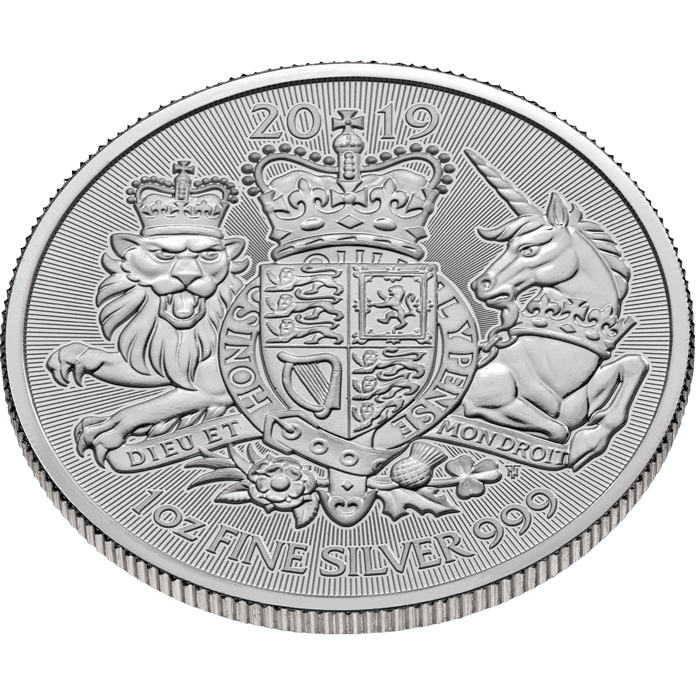 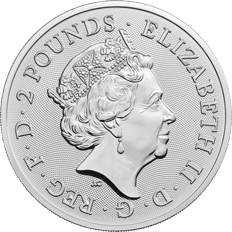 The Royal Arms are also available in single coin quantities. 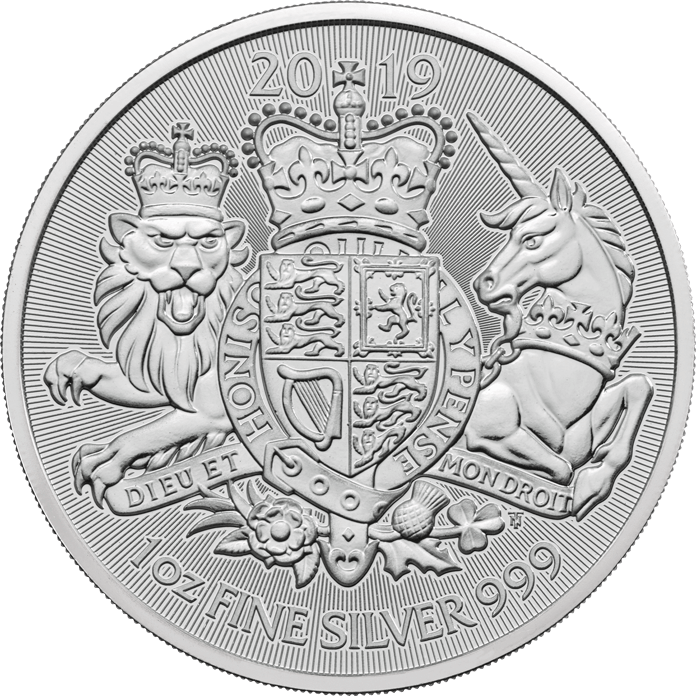 Available for storage in The Vault or free UK delivery.